Your Competitive Advantage Won’t Last Long! Look at any competitive PPC area today, and you’ll notice many of the ads are selling the same thing. This is a fundamental problem. No matter how great you are at PPC, it the product or service you’re selling is flooded with competition, the more your margins will be squeezed. The more your margins are squeezed, the less you will be able to spend on advertising. Long-term, that isn’t a recipe for success. Those with the deepest pockets will eventually win. If you’re pitching very similar products to those offered by other advertisers, you need to find valid points of difference that encourage visitors to choose your product. If you have control over the product/service you’re selling, you have a number of options available to you. You could differentiate based on an emerging consumer trend. For example, some people are concerned about the origin of food. If you were selling coffee, you could draw attention to the source of the coffee as a valid point of difference. You could use fresh imagery to breath life into an old product, like celebrity endorsement. You could reduce price. If you don’t have control over the product, your options are more limited, but you can still differentiate. You could offer a different level of service. You could bundle the product with something else. You could leverage your existing reputation in another area. The problem is that even if you’re successful with your differentiation, people will soon copy you. Option three is going to be most preferable. You can see this at work on the likes of Clickbank. Clickbank facilitates the selling of the same old get-rich-quick schemes that have been around for years. 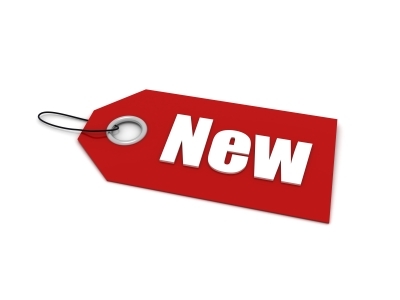 But “new” products keep selling, and the way vendors do that is by using new imagery, descriptions and context, and leveraging off older product lines. The price – typically $97 – has been maintained for years. The big selling vendors are often the same old faces who have been selling via that channel since it began. In order to maintain long term profitability, you cannot rely on your current advantage being maintained over time. Copyists will errode it. Instead, always be in search of your *next* advantage. You can achieve this by constantly adding value, and/or new valid points of differentiation. Keep in mind the value of “the new”. Or more precisely, the perception of the new. There are many examples offline. Car companies introduce new models. These models are pretty much the same as the last model, but if they package them up a little differently, they have a new point of differentiation, and a new story to tell. Soft-drink companies, like Coca Cola, leverage off their existing brand reputation to introduce new lines. Again, these new lines are bubbly sugary drinks, and aren’t really radically new or different. The fashion industry changes every season. Microsoft introduce yearly – well, almost – versions of Office, even though a word processor hasn’t really changed much since the 80’s. This stuff isn’t really new at all! It’s just perceived as being new. Being new is an easy point of differentiation to implement and thus maintain strategic advantage, so long as you have a plan to always introduce the new. When we consider that the new isn’t really new at all, and comes down mostly to cosmetic or subtle changes, it becomes even easier. Do you have a plan to introduce the new as a point of ongoing differentiation? This might be something to consider if your competition is offering all offering the same thing, and stuck in a rut. Great post. New is not new but perceived new. I like it. This is an excellent post with strong business insight, and is a perfect example of why I read this blog. All I can really say is – Thanks!